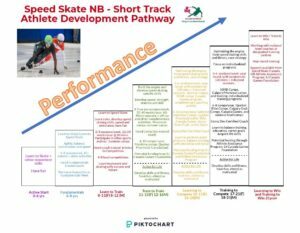 T2T programs are mainly intended for those skaters who have reached their “Growth Spurt” (Peak Height Velocity) and wish to refine better skills and habits for their sport. Participation in this program expects the incorporation of both OFF ICE as well as ON ICE training. IF there is NO Mental component that “YOU” use to embrace your Commitment to improvement, what will drive you during a training session? This development of mental skills happens ON a Daily Basis . You will need to be focused on your goals and know the steps it takes to achieve them. Proper Nutrition, Rest and Training need to be a daily part of you life. Success comes from a focused and progressive approach to improvement in all 4 areas. Development will not be the same speed for everyone. At this stage you are learning how to make choices for YOURSELF and learning to live with the results from those choices.